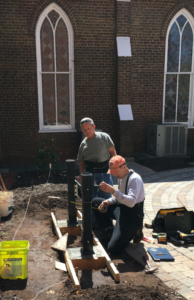 Just this week, Glenn Ingram and Doug Harrod spent many hours over several days getting the prayer garden ready for our Lemonade on the Lawn celebration and a joyous Easter, setting the gate posts in cement (so very straight! ), placing the fencing and gate, and cleaning everything up. 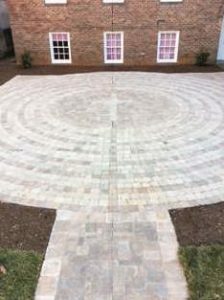 If you would like to donate to the Prayer Garden Fund through PayPal please click the DONATE button.